A source of potential cash into the estate is for the Debtor in Possession ("DIP") to pursue actions against others by filing lawsuits in the bankruptcy court. These suits are known as "adversary proceedings", and are given a separate case number. They resemble a regular type of lawsuit that is filed in state or federal court, and have many of these same procedures and protections. A fairly standard type of adversary proceeding is a preference suit. These are authorized by Section 547 of the Bankruptcy Code. Under this section, if the DIP can show that a creditor obtained a transfer of money or other property in the 90-day period prior to the bankruptcy filing, that allowed that creditor to receive more than he would otherwise receive in a Chapter 7 case, then the transfer can be "avoided" or set aside, and the money recovered for the estate. In effect, the creditor who received the payment will have to disgorge the money he received, even if it was in payment of a legitimate debt. 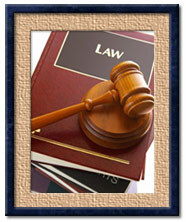 The goal of the preference law is to effectuate the ratable distribution of money to creditors. The preference period for relatives or insiders is one year. The payment was made in the ordinary course of business or financial affairs of the debtor and the recipient, or made according to ordinary business terms. The payment or transfer was intended to be and actually was a contemporaneous exchange for new value given. After the transfer, the recipient gave new value to the debtor; the transfer was the fixing of a statutory lien, which is not avoidable under Section 545 of the Bankruptcy Code. The payment was for a bona fide domestic support obligation. Payments made by the debtor under the auspices of a debt repayment plan created by an approved nonprofit budgeting and credit counseling agency, under Bankruptcy Code Section 545(e). A DIP can bring an action under Bankruptcy Code Section 548 to set aside fraudulent transfers of property made within 2 years prior to the filing of the case, and recover the property for the benefit of the estate. There are two types of such fraudulent transfers: "hard" and "soft". A hard fraudulent transfer is where the debtor transferred property to a third party with the actual intent to hinder, delay or defraud his creditors. A soft fraudulent transfer occurs when the debt made a transfer for which he received less than reasonably equivalent value. These include voluntary and involuntary transfers. What are the "Strong-Arm Powers"? A DIP also has the so-called "strong-arm powers" of a trustee under Section 544(a)(3) of the Bankruptcy Code. This section imbues the DIP with all of the rights of a hypothetical lien creditor under the applicable state law where the bankruptcy case is filed. This allows a trustee to pursue and set aside fraudulent conveyances which were made outside of the 2-year bankruptcy statute of Section 548, but within the applicable state law statute of limitations for such actions. That statute is often 4 years, with an extension up to 7 years where the transfer was secret. Such suits need to be filed within 2 years of the bankruptcy filing. Thus, in practice, it is possible in certain circumstances for the DIP to seek to set aside a transfer that was made up to one day short of nine years before the filing of the complaint. Who Else Can File Lawsuits? In more complicated cases, the creditors committee can take on the responsibility of pursuing preference or other claims. Thismight occur where the committee has requested that the DIP pursue such actions, and the DIP refuses to do so. In some cases, there might exist claims against others for breach of contract, personal injury, breach of antitrust or securities law, or other specialized area. Under Section 327(e) of the Bankruptcy Code, the DIP can ask the court to appoint "special counsel" to represent him in pursuing such claims. After notice and a hearing, the court can approve the employment of such counsel on such terms as the court deems appropriate, including on a contingency-fee basis. Many times, there are one or more pending lawsuits involving the debtor at the time of the bankruptcy filing. The most common of these suits is a collection action by a creditor based on an unpaid debt. Lawsuits against the debtor are stayed (stopped) automatically, under the provisions of Section 362(a) of the Bankruptcy Code. In most of these situations, the creditor ultimately dismisses the lawsuit without prejudice, files his proof of claim, and otherwise participates in the Chapter 11 case. In some instances, there may be a lawsuit by the debtor against a third party. The automatic stay does not stay these suits, since they are not actions against the debtor, but rather actions by the debtor. The DIP can elect to proceed with these suits in the existing forum, in which case the defendant is free to defend. Alternatively, the debtor can remove these cases from state court into the bankruptcy court, under the provisions of Bankruptcy Rule 9027. Once in the bankruptcy court, they become adversary proceedings and are assigned a new case number. Removal is automatic if done within a certain time period (usually 90 days), and after that it is discretionary with the court. In the removal notice, the debtor is required to state whether the underlying matter is what is known as a "core" or a "non-core" matter, and if non-core, whether the debtor consents to the entry of final orders by the bankruptcy judge. If the defendant disagrees with this removal to the bankruptcy court, he can file a motion to remand the proceedings back to the original forum. The bankruptcy court will have the final say on the matter. The court will take into account all of the facts and circumstances of the case, including: whether the case is core or not; the interests of judicial economy; the extent to which "forum-shopping" is being engaged in by one of the parties; the status of the litigation; the convenience of the witnesses and parties; and the burden on the respective courts' calendars.